People love customized things a lot, they do not like to take things as they are rather they want their own creative ideology incorporated into things. No matter if it is about a wedding or a birthday cake, bed sheet or cushion covers, wallpapers or typography posters, a t-shirt or a coffee mug; people want to get each one of them customized according to their own mood and theme of their room and perhaps of their own choice. Ever since printing and digital printing has become much popular, a new variety and range of customized articles are seen everywhere. Brands love to experiment with new designs and patterns to suit the varying needs of time and people. What was the recent customized article you purchased from your local retailer? Let us know, how you like home and décor accessories and personal belonging to look like, we would love to know about it for sure. Anyway, let us tell you that we are dealing with art and tech, design and all those creative things that can not only give you a source of inspiration but also ideas that how you can go about a design and piece of art, being an expert or a beginner yourself. 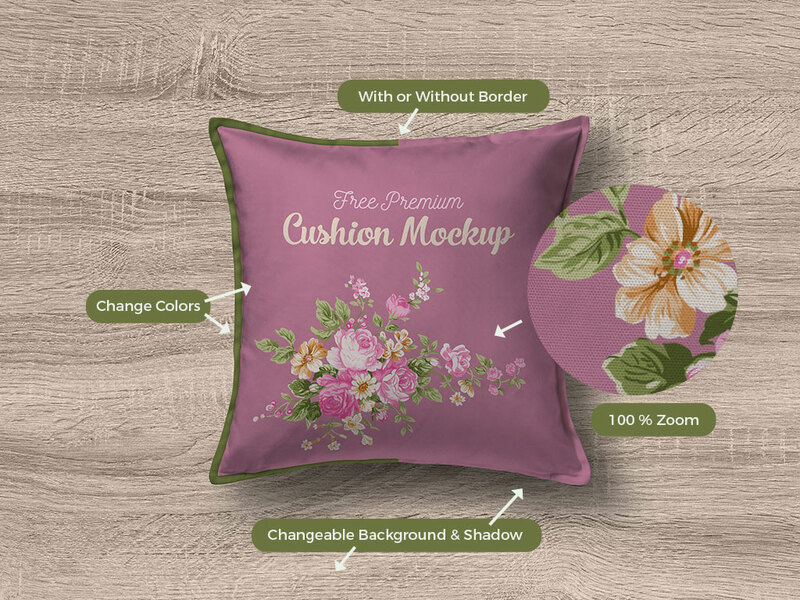 Here you will see a free pillow, cushion cover mockup that can serve as a good presentation for your respective client or you can insert in the design elements you want to display it on your portfolio/shop so people can buy the cushion cover after watching its mockup. 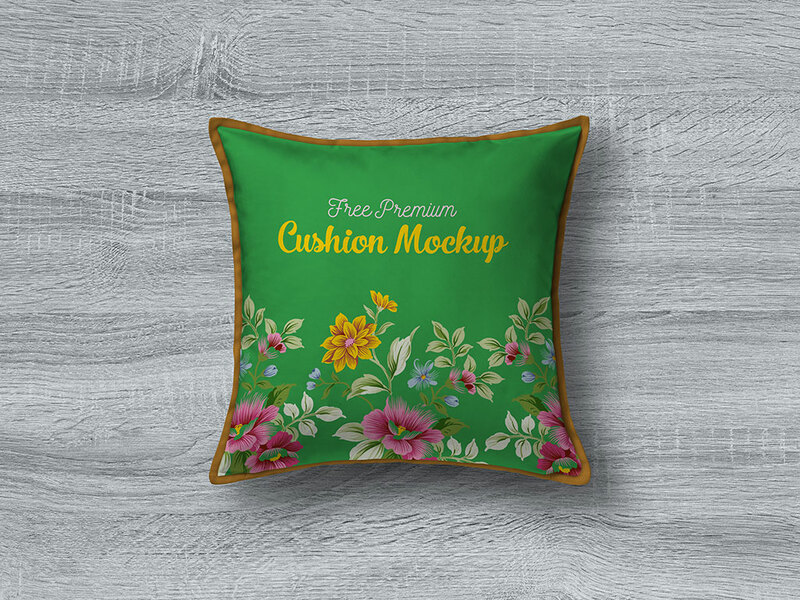 Colors, borders, background and shadow can be changed and here is one tip to make a good cushion cover is that it should have all those prominent colors and textures that may make it look attractive, adorable, classy and readable. Like this one, mockups can be really helpful for a finer idea how things must/should look after getting printed. You can also write some sort of saying, typography, make floral patterns, animal prints, quotes, painting, characters, graffiti art or anything of your choice on the cover. For more freebies, mockups, design feed and art collection, stay tuned to us, we are ready to provide you with best collection that is useful and informative for our geek viewers and designers. Here we go.